The traditional bow divisions of US Traditional Target Archery shooting represent the original equipment used in NAA target shooting during the late 19th and first part of the 20th centuries, before the advent of the modern Olympic recurves and compound bows. As stewards of this style of target shooting we attempt to replicate the equipment and tournament conditions of these earlier eras. These divisions are not the same as the traditional styles of organizations influenced by hunters and field archery. Most importantly, these bows do not necessarily imply instinctive or non-sighted equipment although archers may certainly choose to shoot barebow if that is their preference. Reference points were used if so desired. Both longbow divisions allow for the basic BLBS sight references to be used and recurve bows may also use a simple attached sight. Those who choose to shoot these divisions enjoy the simplicity and challenge of using these types of bows for competitive target rounds. The traditional rules were established in 1997 to allow such participation and are based on the British Longbow Society rules. 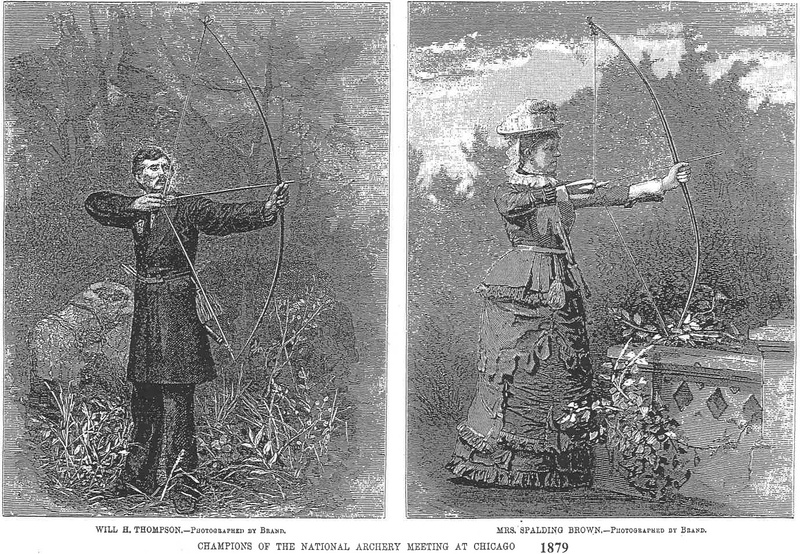 The early longbows and their competition rounds were heavily influenced by the British archery traditions. Modern longbows may be more efficient but still provide the challenge of a simple bow using wood arrows. The Traditional Recurve division strives to give the wooden recurve shooters a chance to compare their scores with the target archers of the 1950's and 1960's. The rules are a combined effort and compromise to best represent the archers of that era as a whole. Realizing not everything was exactly the same in that 20 year period, we sought to represent the majority in that era. We believe this will be of much interest to the Traditional Recurve shooter. The horsebow divisions were added in 2016 to accommodate the increased popularity of the Asiatic style bows and to provide an opportunity for them to participate in target archery. The outdoor US National Traditional Target Archery Championships tournament is shot in August and is a stand-alone event. This is a rigorous 2-day shoot which consists of the York Round for men, Hereford Round for women, (or the optional Michigan Round for men/women), American Round and Clout.